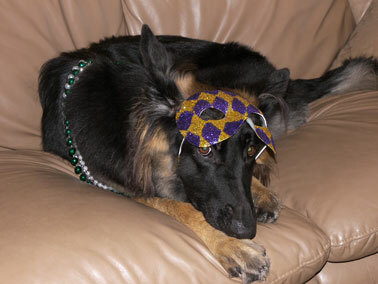 This is one of my favorite pictures of Ioi (her name means “joy” in Hawaiian), our 4yr black and tan GSD princess after one of our annual Mardi Gras parties. After lots of love and attention from our guests, she was pooped and let me get this photo op! Let the good times roll!